As the winter of 1810-11 drew to a close, Wellington prepared to move against Masséna's Army of Portugal which, having ground to a halt in front of the Lines of Torres Vedras, had spent the winter between Santarém and Rio Maior. At the same time, he was obliged to despatch the 2nd and 4th Divisions in the Alemtejo to counter a threat from Soult's Army of the South which took Badajoz on 11th March. In the space of 5 weeks, Wellington harried Masséna out of Portugal, isolating a French garrison at Almeida on 7th April. To his great credit, Masséna brought his army back to a state of operational readiness in remarkably short time. It was his army's misfortune that he chose to throw it against Wellington in a desperate attempt to relieve Almeida and save something of his reputation. On 2nd May, Masséna advanced from Ciudad Rodrigo with a force of 42,000 infantry, 4,500 cavalry and 38 guns. In response, Wellington deployed 34,000 infantry, 1,850 cavalry and 48 guns along a defensive line extending south from the ruins of Fort Concepcion to the village of Fuentes de Oñoro. 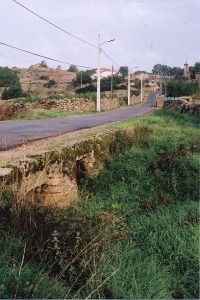 North of the village, the western heights of the ravine through which flowed the Dos Casas river were entrusted to the 5th and 6th Divisions; the 1st, 3rd, 7th and Light Divisions, as well as Ashworth's Portuguese Brigade, were held on the high ground behind the village while the village itself was garrisoned by 1,800 light infantry supported by 460 men of the 2/83rd.1 Further south, two battalions held Poço Velho2 while Julian Sanchez's guerrillas occupied Nave de Haver. In the early afternoon of 3rd May, Masséna sent all ten battalions of Ferey's Division into a direct assault against Fuentes de Oñoro. Crossing the Dos Casas under heavy fire, the French forced their way uphill through the maze of alleyways in the village, reaching the church before being driven back by three battalions of the 1st Division.3 After being reinforced by four battalions from Marchand's Division, the French attacked again but failed to regain a foothold on the western side of the stream. The casualties in the day's fighting amounted to 652 French and 259 British and Portuguese. After spending the 4th reconnoitring the Allied positions, Masséna recognized the possibility of turning Wellington's right by striking south of Fuentes de Oñoro; 17,000 infantry and 3,500 cavalry were allocated to the flank attack while 14,000 infantry were concentrated in front of Fuentes de Oñoro ready to make a co-ordinated, renewed attack across the Dos Casas. Given that Wellington saw the threat, it is surprising that he chose to defend the flank with his weakest division - the 4,000-strong 7th (Houston) - alongside the whole of his cavalry. At daybreak on the 5th, French cavalry under the command of Montbrun drove Sanchez's guerrillas from the battlefield and forced the British cavalry (Cotton) to regroup in front of the 7th Division west of Poço Velho. Shortly after, two infantry divisions under Marchand and Mermet drove the Allied battalions out of Poço Velho, threatening both the right flank of the Allied position at Fuentes de Oñoro and to cut off the isolated 7th Division. Wellington now reacted quickly and decisively, redeploying the the 1st (Spencer) and 3rd (Picton) Divisions and the Portuguese Brigade to form a new defensive line facing south, and sending Crauford's Light Division to the rescue of the 7th. As the 7th Division pulled back, 1,400 British cavalry4 fought to stave off furious attacks from twice their number in four of Montbrun's cavalry brigades. As the exhausted British cavalry drew up behind the 7th Division, Montbrun made one unsuccessful attempt to break the infantry before pausing to reorganize. 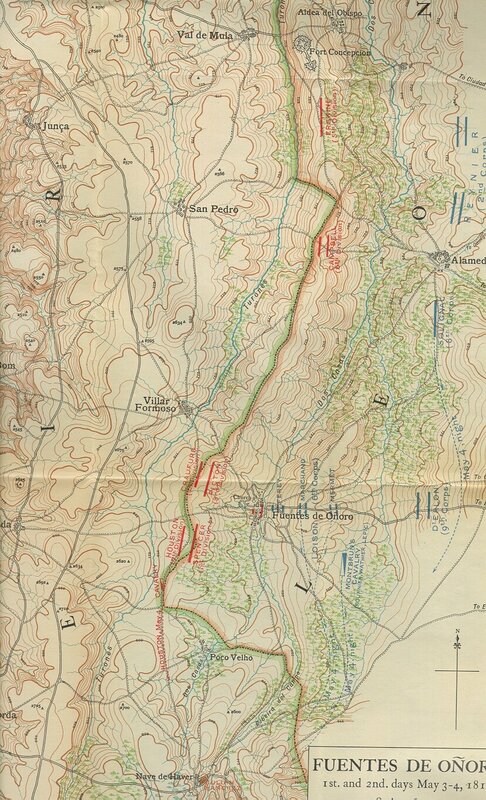 During the lull in the fighting, the Light Division took the place of the 7th with orders to hold the ground until the 7th had safely withdrawn, and then to pull back to the rear of the 1st Division. Constantly harried by Montbrun's cavalry, Crauford brought his division back to safety in a line of battalion squares protected by the cavalry and a battery of horse artillery. In the whole engagement, the Light Division suffered just 43 casualties. "The town presented a shocking sight: our Highlanders lay dead in heaps, while the other regiments, though less remarkable in dress, were scarcely so in the number of their slain. The French grenadiers, with their immense caps and gaudy plumes, lay in piles of ten and twenty together - some dead, others wounded, with barely strength sufficient to move, their exhausted state and the weight of their cumbrous accoutrements making it impossible for them to crawl out of the dreadful fire of grape and round shot which the enemy poured into the town. The Highlanders had been driven to the churchyard at the very top of the village, and were fighting with the French grenadiers across the graves and tombstones." 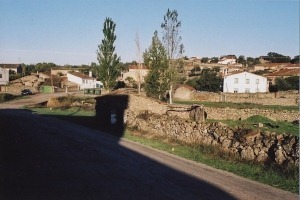 Right: Fuentes de Oñoro from the bridge over the Dos Casas. 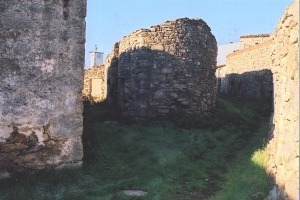 After sharp fighting, the French columns broke under the ferocity of the counter-attack by the 1/74th and 1/88th, and were driven back across the Dos Casas. By about 2pm, the fighting for Fuentes de Oñoro was all but over. Allied casualties on 5th May totalled 1,545, while the French losses amounted to 2,192. Overnight, Wellington's troops dug in along the south-facing line. During the night of 7th/8th May, Masséna began to withdraw from the battlefield. Travelling on the N620 from Ciudad Rodrigo, 500m after the 348km post (and immediately after the service station), turn left at a minor road junction onto a rough road (not signposted). Follow the road down to the edge of the village and park by the Dos Casas stream. The part of the village uphill and to the left retains much of the character of 200 years ago and is worth exploring by foot. Pass through the village to find the church and memorial to the battle near the top of the ridge. Return to the N620 and cross the border into Portugal. Turn left onto the N332 to Sabugal to visit Poço Velho and Nave de Haver. 2.5km north of Nave de Haver on the N332 a rough road leads west to the village of Freineda. Adjacent to the church, the house in which Wellington stayed during the winter of 1812-3 is marked by a plaque. "A History of the Peninsular War, Volume IV" by Sir Charles Oman, published by Greenhill Books 1996, ISBN 1853672246. 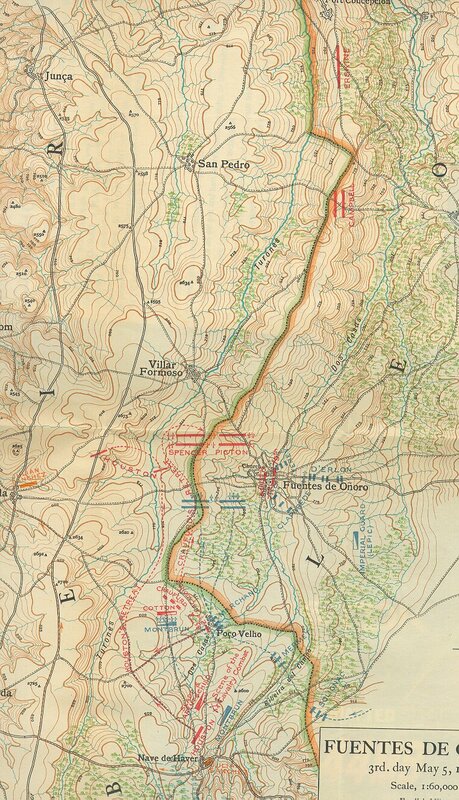 Maps of Fuentes de Oñoro on 3rd-4th May and 5th May courtesy of The Napoleon Series. The troops in the village were under the command of Lt.-Col. William Williams of the 5/60th. The 85th and the 2nd Caçadores. The 1/71st, 1/79th and 2/24th. Slade's Brigade and Arentschildt's Brigade. Mackinnon's Brigade of 3rd Division.